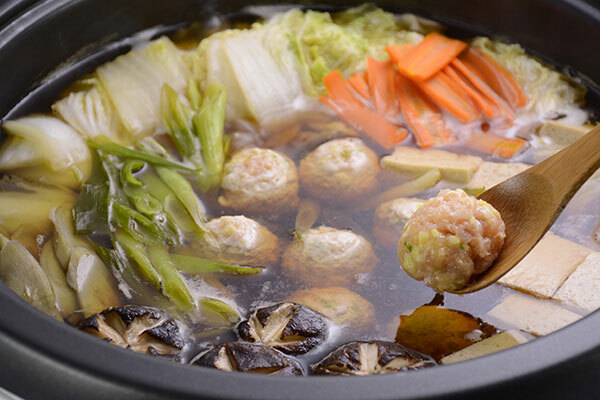 Chanko-Nabe is a famous dish that originated in Sumo wrestlers' kitchen. Cooking it themselves daily is customary. 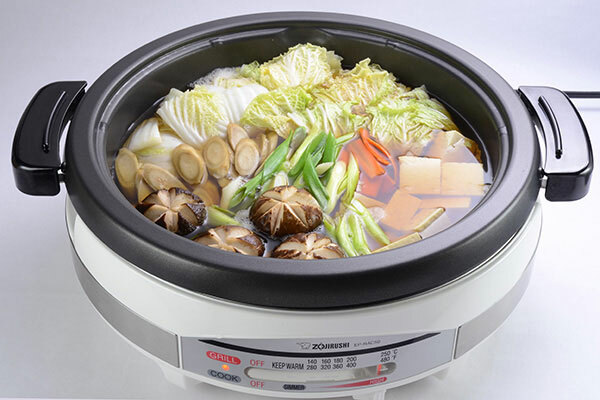 No wonder there are so many Chanko-Nabe restaurants owned by retired Sumo wrestlers in Japan. Here is one version of the basic recipe. 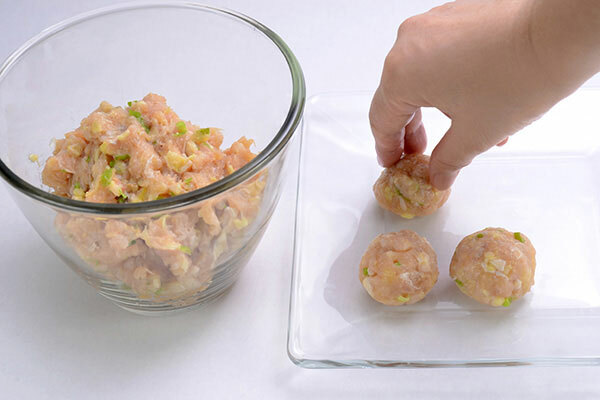 In a bowl, mix all ingredients for chicken meatballs and mix well with your hands. Wet your hands and make bite sized balls and set aside. 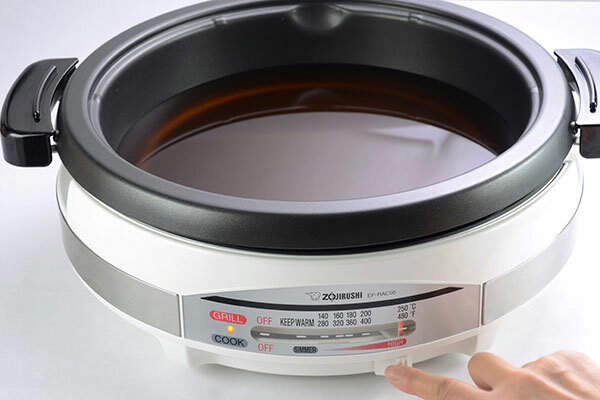 Place dashi, soy sauce, sake, mirin and salt in the Gourmet d’Expert® Electric Skillet and set temperature to HIGH (480°F/250°C). 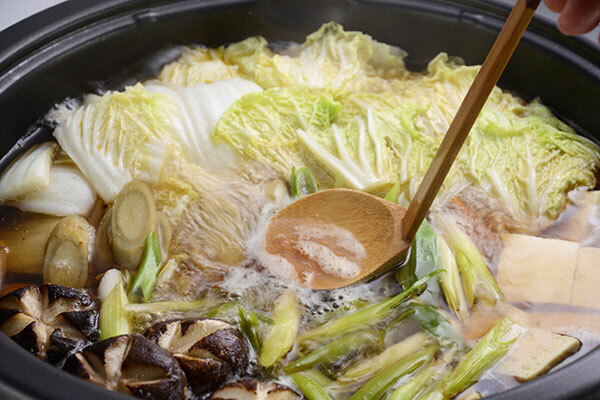 When the soup reaches a boil, add nappa cabbage, shiitake, drained gobo, carrot, tofu and green onions. Skim off any scum that rises to the surface and turn down the heat to MEDIUM (320°F/180°C). 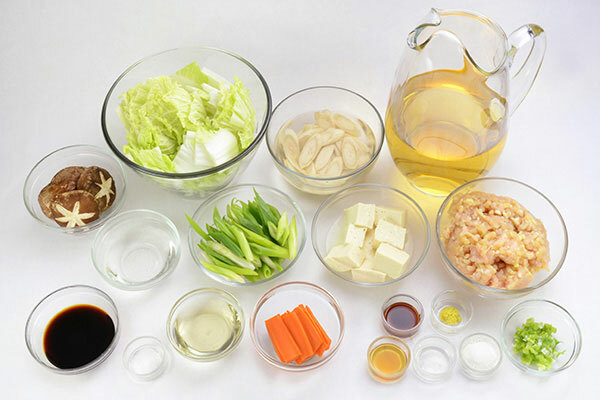 Cook for 10 minutes or until all vegetables are tender. 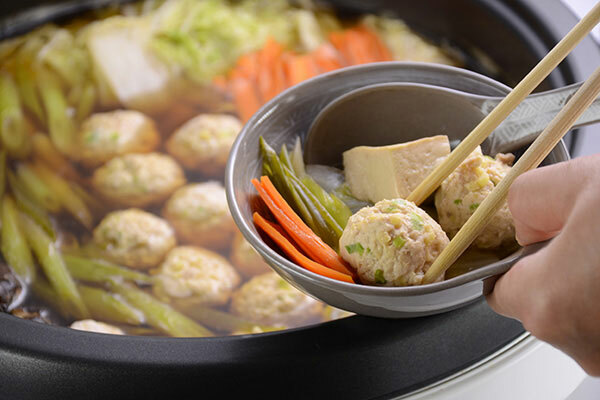 Add chicken meatballs to the skillet and turn down the heat to LOW (280°F/140°C). 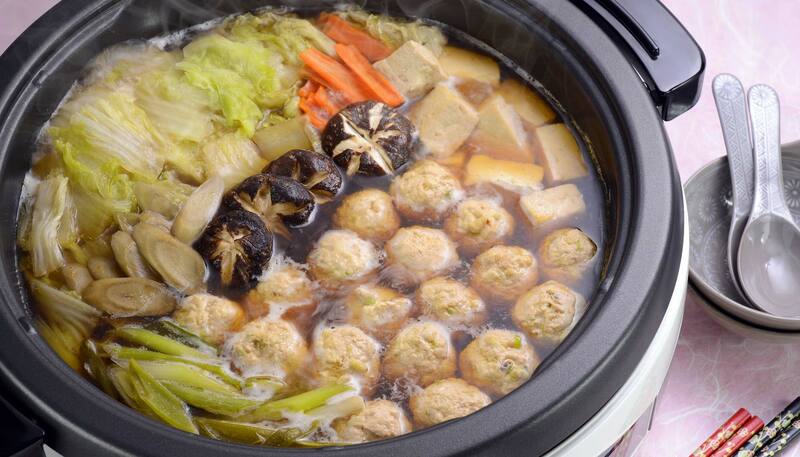 Cook for 5 minutes or until meatballs are cooked through. Set the skillet to KEEP WARM, take cooked ingredients from the pot and serve. This dish is also perfect to enjoy at-the-table. 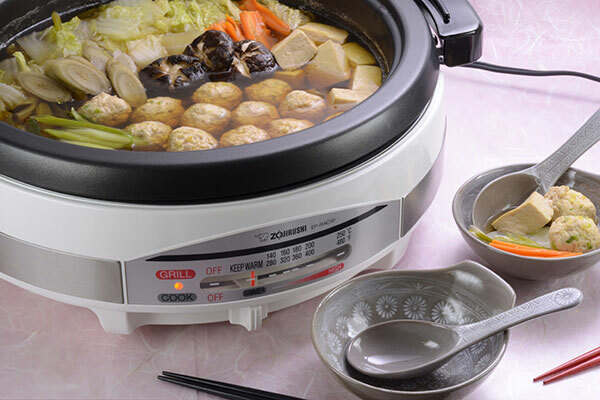 Place the Gourmet d’Expert® Electric Skillet at the center of the dining table, and guests can serve themselves! Enjoy!